Gel Staining... Small change but big impact. Mini Wax Gel Stain is my best friend today! 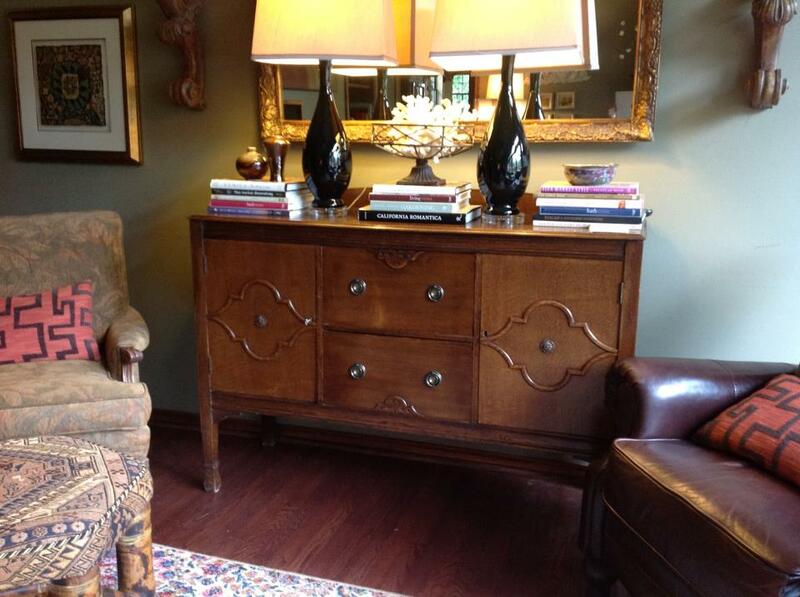 I have this antique buffet in my living room that I love but I wanted to update it a bit. I contemplated painted it but I knew that wouldn't fly with my husband :( As you might know, painted furniture is all the rage right now, it's a great way to give a new look to old antiques. Take a look at Noteworthy Home and see what amazing work she is doing! I love following them on Facebook! I thought about gold leafing the insets on each side but couldn't get brave enough to do that either. But what I did do was use my Walnut Gel Stain to make the insets stand out. 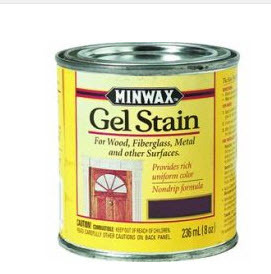 We use this gel stain a lot for staining stair banisters, cabinets, doors and much more. It's wonderful because there is no major sanding needed. It sits on the surface of the existing stain and darkens it immediately. I'm happy! What do you think? I also wanted to say thank you to Kathy Greenley for featuring me on her blog today! Here. I feel honored that she included me in this feature about Collections. 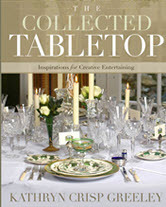 Order her book "The Collected Tabletop" here you will love it! As you know, I LOVE to entertain and set a beautiful table. You can see a few of my posts about entertaining here and here. Visit my websit DecRenew Interiors to see my Design Portfolio with before and after pictures you won't want to miss.